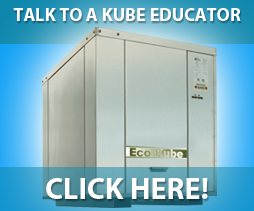 The HVAC Kube is a heat pump that has been designed to meet the demands of the energy efficient industry. This heating and cooling Kube, the Eco KubeTM, is simple and efficient while providing a heating solution that is often 1/2 to 2/3 more efficient than solutions used in common designs, such as electric or oil heating. 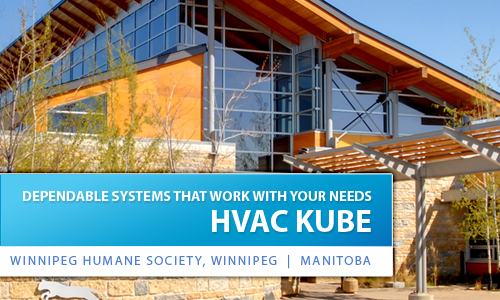 Unlike other heat pumps, The HVAC Kube intentionally does not incorporate a reversing valve. This avoids failures due to liquid slugging and also enables the KUBE system to provide heating and cooling at the same time. This is achieved through valves on the evaporator and condenser piping on the rear of the unit. Engineering support is provided by Kube Solutions to assist each owner’s mechanical team in the design of their system to incorporate this two-zone approach.